Google advertises AdWords as an easy solution for everyone – after all, account setup takes only 15 minutes. Most people realise though that building up a well-functioning account takes more effort. However, it is less obvious that if you already have an account, you should actively keep your eye on the results. 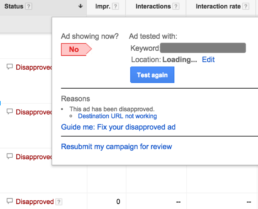 Set it and forget it does not work for AdWords. I have seen quite a few accounts running without any changes for months or even years. Accounts are often left without attention because in general AdWords seems to be a profitable source and there’s no urgent need to optimize. Those accounts are either leaving money on the table or just wasting it. Now, let’s look at eight possible outcomes of an unattended account. Keep in mind that these are just a few possible surprises. Usually, there is an entire team behind the website and they might be unaware that there are some ads are still running with the URL-s that just got changed because of some new initiative. 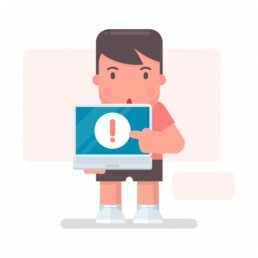 Manually checking links can be time-consuming, so we rather recommend creating a script, that lets you know when some products are out of stock or there is a “404 page not found” error. Different scripts can be found here. Some keywords may bring in lots of traffic and spend money without leading to desired conversions. That’s why it’s necessary to keep an eye on the keywords regularly – maybe there are some you need to pause or where bids need to be lowered, so that CPAs (Cost Per Acquisition) are acceptable. On the flipside, some of the more profitable keywords may be appearing in the lower, less noticeable part of the search results where CTR (Click Through Rate) are lower and your keyword isn’t getting as much attention as it deserves. 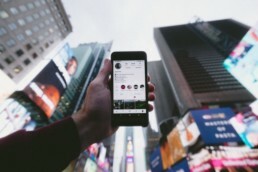 Usage of different devices – traffic from smartphones is still growing and online shoppers are also getting more used to complete purchases on their phones. Google is reacting to the trends as well by planning to launch mobile-first indexing on their search engine in the near future. To keep up with the trend of continuous growth it’s important to make sure your site is optimized for different devices. Also (if applicable), it’s worth creating Universal App Campaigns specifically modelled to get downloads of your app. Search volumes keep increasing. As a result, the budgets that were set a long time ago may be limited today and cause you to lose potential traffic. Here’s a pro tip: have a look at your impression share and see how it has changed and increase if necessary. Current events – sometimes steady-performing keywords start to generate more traffic or the search intent changes. For example, city names might be used to successfully promote vacation packages, but if there’s a terrorist attack on that city or some weather disaster then people start looking for daily news instead. New keywords – Google says that 15% of all the searches have never been seen before. It is very likely that over time new keywords have appeared that you’re missing out on. Competitors are entering the market. It may be that some keywords that used to be profitable, have become more expensive because of increased competition. Competitors are leaving. On the other hand, sometimes we see how new competitors make life harder for the rest by making keywords too expensive. This may occur as a result of a huge AdWords investment executed without precision – until someone realizes that it’s not sustainable and leaves. That might be newcomer themselves. Sometimes advertisers want to appear in the first position no matter what. I have seen cases where advertisers set a bid of €100 even though they can only afford €1 just because they think that they’re never going to pay that much anyway. This works until someone else gets the same idea. Then you end up with a situation where you’ll see that the first position may cost up to €100, whereas the second position only costs €0.5. Though unlikely, it’s worth remembering that there are all kinds of bad guys out there. 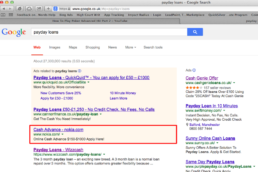 Here is a brief overview together with a few examples of how the accounts of Nokia and Tesco got hacked in order to run affiliate ads for payday loan advertisers. Are you sure you’ll be safe if someone managed to hack Nokia’s account? Can you be sure that no one is secretly advertising a magic diet from your AdWords account? 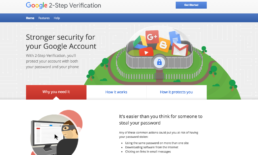 To prevent this, take a look at Google’s 1-2 Step Verification – a convenient way to secure some peace of mind that there is nothing suspicious going on in your account. Did you notice your brand keywords losing traffic recently? Sometimes affiliates try to buy your keywords by setting higher CPCs and then selling you your own brand conversions “with a good price”. In the meanwhile, you could get the same conversions 10x cheaper. This can happen even with a contract that explicitly forbids this. Are you still running those Christmas discount ads in February? Are all the products and USPs (Unique Selling Propositions) up to date? If you did a good job and created 2-3 ads for each ad group (as you’re supposed to), then maybe some of them are actually underperforming? If so, pause them! Don’t forget to check if your ads have got enough impressions to make conclusions in the first place. Google announces something new almost every week. 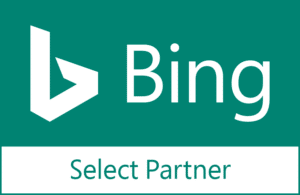 Keep an eye on the AdWords blog and Searchengineland for all the latest updates. We still see advertisers who haven’t updated to the longer ad formats that we launched in 2016. Also, last Autumn Gmail targeting changed so those keywords (eg domain targeting) that might have been working well might not be running at all anymore. Additionally, new features, such as promotion extensions and ad variations, have only been released in the new interface so if you still haven’t tried the new interface you might be missing out on new options that are also available for you. The old Google features are getting better. Broad match is not as bad as it used to be while exact match is not as exact anymore. 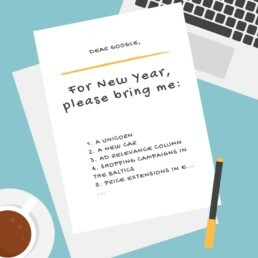 The folks, who have been involved with AdWords for a while probably still remember the comedy/tragedy in search terms reports, but by now broad match has evolved and deserves another chance in some cases. In contrast, exact match has ceased being completely exact and now allows changing the word order or inserting function words (such as “for”, “the”, “to” etc.) when matching the search query to your search. To conclude, we hope that this article motivated you to keep an eye on the account. Even if you have an agency already working on your account, remember it’s always good to employ a fresh pair of eyes every once in a while. We’d be happy to give your account an audit and provide ideas for improvement. Contact us and let us help you in reaching your full potential on AdWords!